Enquire with Bouden Coach Travel for your next golf trip. 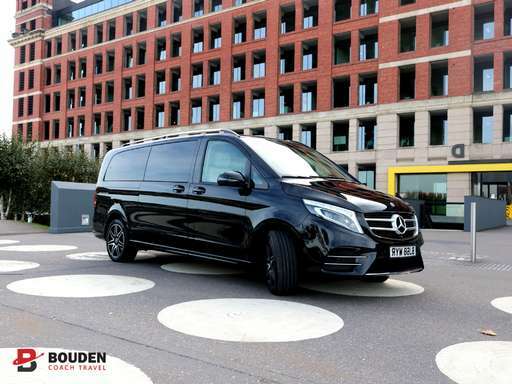 We offer golf minibus hire services meaning we can transport your group both too and from your golfing destination in your personal Bouden Coach Travel golf minibus. Here at Bouden Coach Travel we are a full travel management company and have a tonne of experience when it comes to golf trip minibus hire. Call us on 0800 112 3770 to ask about our golf minibus or email [email protected] our inhouse team will get back to you in no time. Our golf tour minibus hire with driver services come in a variety of different size vehicles, we also three different classes; standard golf minibus hire, executive golf minibus hire and luxury golf minibus hire. Depending on what your budget may be for your golf trip, one of our three minibus options will be sure to suite your golf minibus requirements. Our headquarters are based in Birmingham however we don’t just provide golf minibus hire in Birmingham, we are proud to say that we can accommodate the entire of the UK. CLICK HERE for an online quotation for your golf trip minibus hire with driver. No matter what size your group may be here at Bouden Coach Travel we are sure to have a golf minibus to suit you. Our minibus sizes include 12 seaters, 16 seaters, 19 seaters, and 24 seat midicoaches if it is that your group is on the large side. To find out more information regarding our minibus hire with a driver for your golf trip call 0800 112 3770.